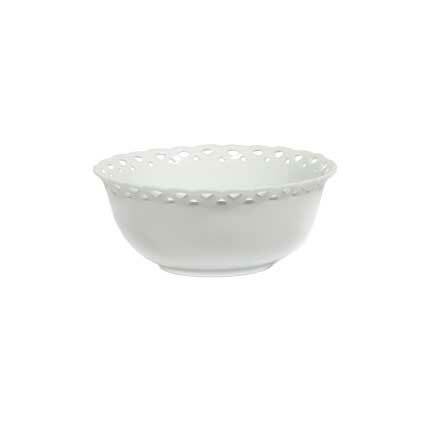 These unique porcelain bowl works well with small floral arrangements or on buffet tables. Use with matching compote. This is a 6" porcelein bowl.